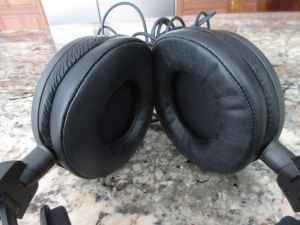 You are at:Home»Headphone Reviews»Audio-Technica ATH-A2000Z Art Monitor Closed-Back Headphones Review. 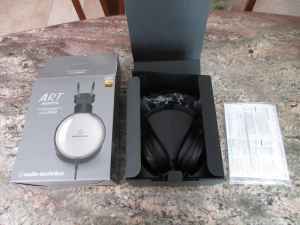 Audio-Technica ATH-A2000Z Art Monitor Closed-Back Headphones Review. The Art of full size Monitors. 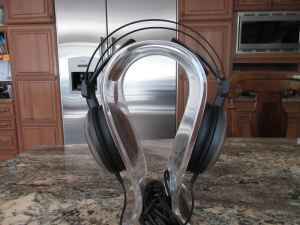 PROS: very resolving reference quality sound, lightweight, comfortable 3D wing support system, good isolation. 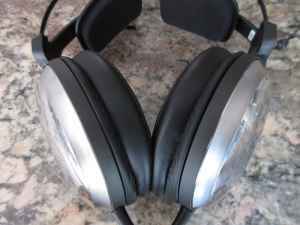 CONS: non-removable cable, no case or storage pouch, titanium earcups can scratch. 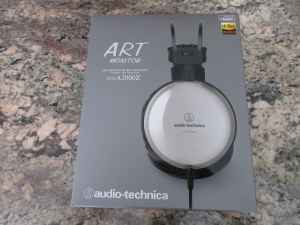 This is a review of Audio-Technica ATH-A2000Z full size closed back headphones from the Art Monitor series. 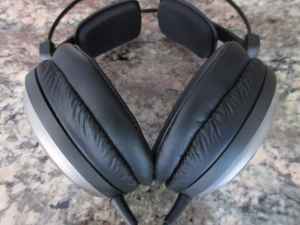 http://www.audio-technica.com/cms/headphones/bbe1ef398d50789e/index.html. Also, in my review I featured a few Geekria stands. 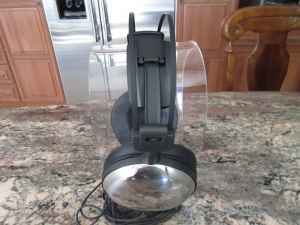 So, I’m back in a full size headphone review saddle and this time got a chance to listen to a pair of newly introduced ATH-A2000Z (A2kZ) full size closed back model from Audio-Technica Art Monitor series. I had A2kZ for over 2 months, and finally got to the review. I know it will sound cliché, but I really didn’t know what to expect when they arrived since there was very little info available about these headphones. A few months later and there is still hardly any info about A2kZ. 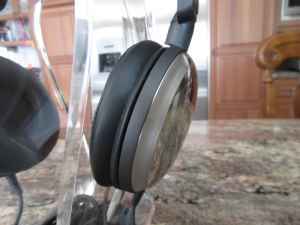 Perhaps not as mainstream as ATs other consumer oriented models, I actually found A2kZ to be more suitable for audiophile enthusiasts and able to go head to head with other higher price competition. So let’s take a closer took to see what I found after spending the last few months with A2kZ. 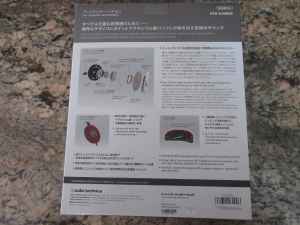 I have reviewed a number of AT products in the past, and always look forward to the packaging with “Made in Japan” stamp of approval which includes bi-lingual (English and Japanese) info and the proud display of internal design. Call me a geek, but I find it fascinating when company shares a detailed diagram of the internal design and clearly labels every single component. Of course, you can also expect a bold glossy cover shot, a full detailed spec, and not only the diagram but also a detailed description of the design and various components associated with it. With many headphones you can’t wait to take the product out of the box, while here I actually took my time enjoying the read about what awaits me inside. 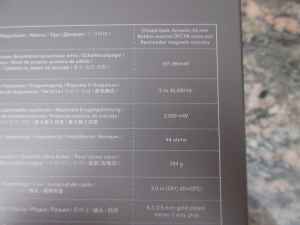 As much as I found the provided info on the back of the box to be very useful, the actual unboxing experience was a bit disappointing once you take the outer packaging sleeve off and look at the plain cardboard box with A2kZ inside. Don’t get me wrong, the headphone looks very impressive, but I was just sad to see a plain box and NO accessories. Besides a matching 1/4” adapter which screws on the 3.5mm TRS connector, you are not going to find anything else, not even a storage pouch. 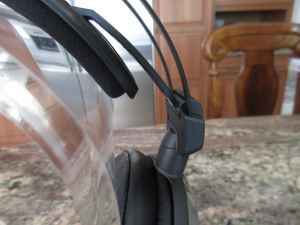 The earcups do look sturdy, but since they don’t rotate, and nothing is folding, and the headband along with 3D wing support looks rather delicate – for the price of these headphones I would have expected at least some basic case or just a storage pouch. 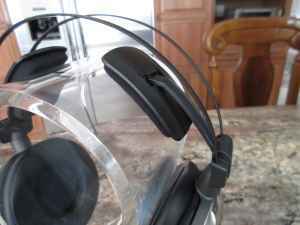 The first impression of A2kZ out of the box was how lightweight and durable they felt. It almost looks fragile when you see a headband with just 2 thin metal springs and a 3D wing support (similar to R70x) attached to a meaty earcup joints with a rigid pure titanium earcup housing. But upon closer examination you’ll find a decent build quality and a solid connection between all the pieces. 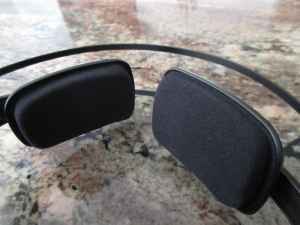 These metal springs provide a very comfortable clamping force, and 3D wings eliminate the need for a height adjustment mechanism where the spring-loaded foam-padded “wings” provide a gentle support and keep metal springs of headband from coming into contact with the top of your head. For those not familiar with this support system, it takes a few minutes of getting used to it, but since I had plenty of experience with R70x – it felt like at home from the get-go. 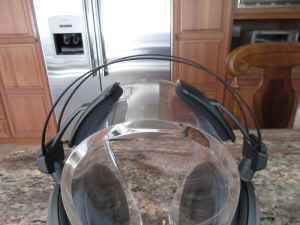 The only available adjustment in here is a slight angle of earcup rotation, just enough to adjust to the anatomy of your head shape. As I mentioned before, clamping force was very comfortable, but earpads do get a bit hot after an extended listening session which has more to do with the material. 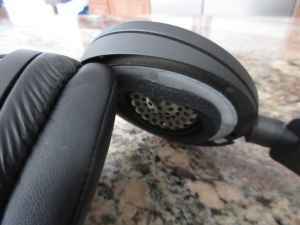 Perhaps the replacement of pleather earpads with velvet ones can solve this problem, though you have to keep in mind the sound will be affected. 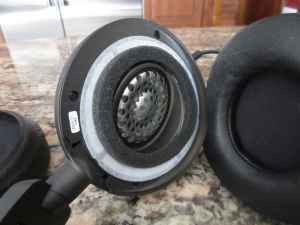 I did confirm that earpads were removable, but you have to be sure to replace it with another angled pair since the magnesium alloy baffle is wider in the back and narrower up front. Left/Right sides were clearly labeled outside of the headband, across the joints. 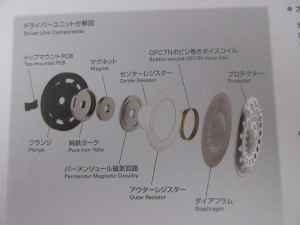 The exterior pure titanium housing is reflective, and underneath you have a special structure which AT referrers to as double air damping system (D.A.D.S.) designed to reproduce a deeper and more natural sounding bass. 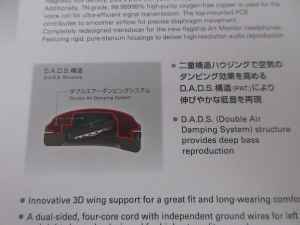 I’m glad that AT also covered that in their design diagram on the back of the packaging, showing how this air pocket structure looks underneath the earcup. 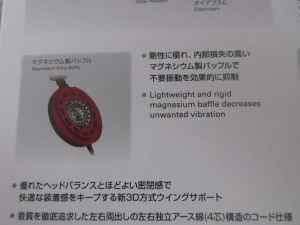 There are a lot of interesting details about the interior design, such as proprietary large-aperture 53mm hand assembled drivers, and a precisely bobbin-wound voice coil using very high purity OFC-7N oxygen-free copper. Every component was handpicked for the best audio performance, down to OFC-6N purity four-core cable. Unfortunately, the cable is not removable and you have to deal with 3.0m long umbilical cord intended for a typical desktop/studio use. 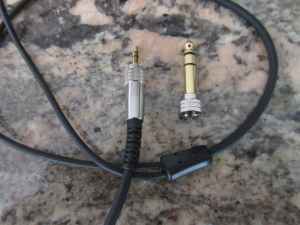 This really affects portability of A2kZ since I can’t imagine anybody feeling comfortable walking around with a hefty 3 meter cable instead of a typical 1.2m portable cord. The decision to use non-removable cable really bothered me because its R70x sibling with a very similar design had it implemented without a problem, not to mention that other AT models and the rest of the competition utilizes removable cables. 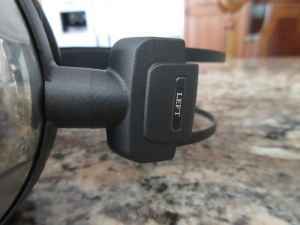 Why not implement the same R70x earcup cable lock mechanism in A2kZ? I can understand the argument that AT engineers fine-tuned every component of the signal path down to a cable length and wire material, but it would have been such a great opportunity to try the replacement cable, not just for a shorter and more portable use, but also to switch to a balanced wired version since these definitely benefit from extra power. 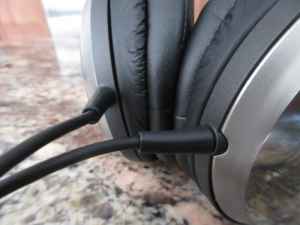 Plus, removable cable helps with a neater storage of headphones when you find a suitable case. Bottom line, I was very impressed with a design, comfortable fit, excellent isolation and zero sound leakage, but found lack of removable cable to be a negative. 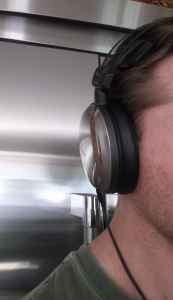 Also, I have a feeling that shiny titanium surface of earcups will have a polarizing opinion where some might prefer a less reflective finish, while others will be OK with it. Also, I already noticed a few scratches across the titanium earcup housing. Page 2: Sound analysis, comparison, pair up, and conclusion. twister6 wears many different hats, from being a hardware engineer by day to a husband and a father after work, and when the evening rolls around - it's time for audio gear reviews and some music production. 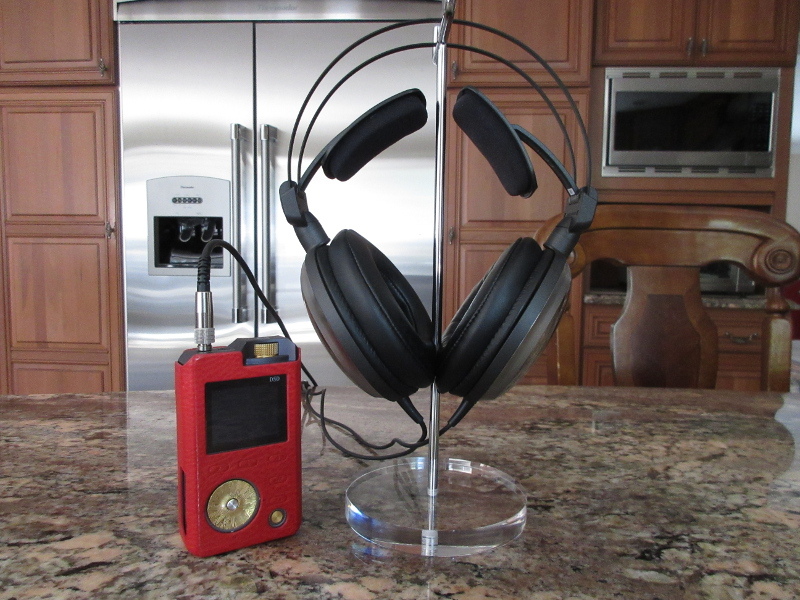 Though he doesn't shy away from full size headphones, wireless speakers, and desktop amps, he has a weak spot for a portable audio setup with IEMs/CIEMs, DAPs, and usb DACs. would you pick the R70X as a better price to performance pick? I’ve been waiting on this review haha! First of all, nice write-up! Really enjoyed it and very informative! 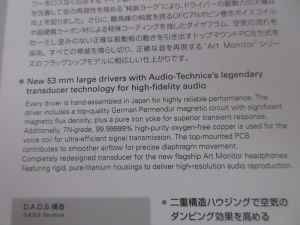 But lastly, do you know when Audio Technica might release this in the US on Amazon? I asked AT US about availability on Amazon, but they are not sure when. Current amazon sellers are all from Japan, and prices are a lot higher in comparison to $649 directly from AT US website.